Last Sunday myself and Iannick got in another game of Général d'Ármee at Iannick's house in Montréal. It was Iannick's second game and my fifth. It had been almost 3 months since either of us had played so the rules were a little rusty but aside from a minor misinterpretation of the skirmishing rules and a mess up of one charge involving multiple units, we actually did very well. We brought the game to conclusion in 5 hours which is not bad. 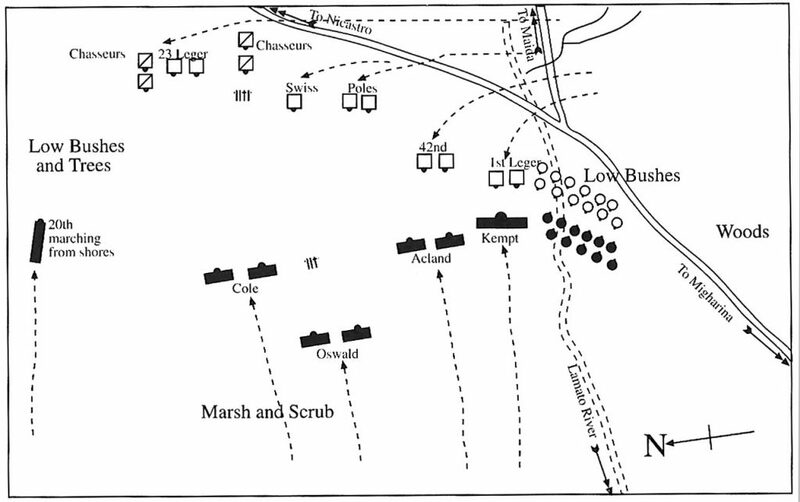 We decided to do a smallish battle based on the Battle of Maida, with 5 brigades of British and 4 of French. I have always felt Maida was a nice nice battle to test a divisional level ruleset as essentially the armies were about even in manpower and had all three armed branches present. The terrain is as below, we did not factor in the roads as in GdA they have no real effect. The trees and the Lamato River were treated as rough terrain. 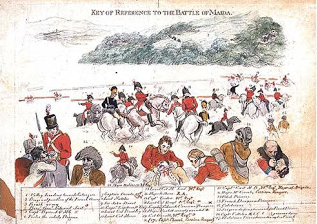 At Maida there were Polish and Swiss troops in the French OB and some Corsicans and Sicilians fighting for the British. We made some substitutions and the OB was below. I will not bother to write up a formal battle report, but I did take some snaps and will highlight some of the action in the captions. British KGL advancing in line with some Caçadores up front. The French defenders, the British had the initiative. The British appear to be advancing in Attack Column. Skirmishers were heavily in play throughout the game. Two large British units advancing in AC. The French centre is broken. 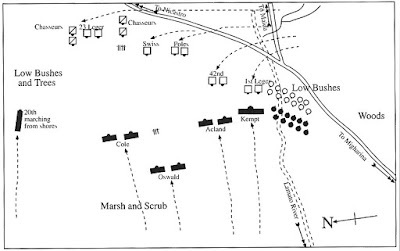 We gave victory to the British (Iannick), once the centre was broken there was no real way the French could recover. We both enjoyed our game, it is a good ruleset. Nice scenario and great pics, congrats to the British! Great looking game and always a pleasure to see some more GdA on the web. Thanks John. Nice size for a trial game. Looks great, too!